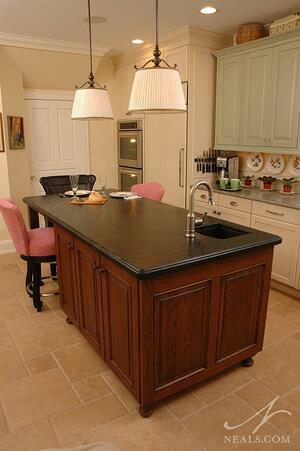 The inclusion of an island can bring a lot of value and function to the kitchen. 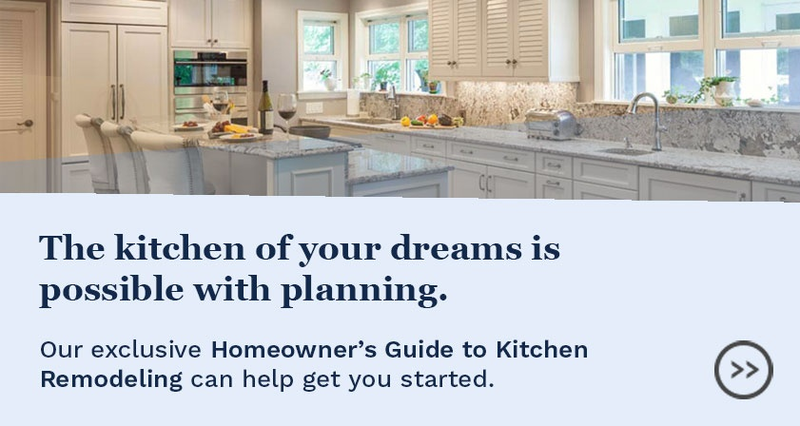 Adding counter space is the primary function of any island, large or small, but sometimes the island needs to do much more than that. Hard-working islands need to earn their keep by offering more than just a work surface. Here are six great examples of kitchen island designs that are the workhorses of their kitchens. This narrow island can be divided into two zones. Closest to the cooking areas, a prep sink saves the few steps over to the sink further down. The counter in this area is just right for food prep. During parties, this narrow but long counter is a great stand in for a buffet. A cabinet and drawers add storage. Further down, in the second zone, the counter widens slightly to become the kitchen table, big enough to fit up to 5 people. 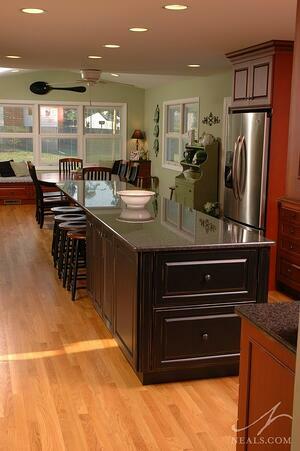 This long, thin island provides a significant amount of extra counter space. On the end, two refrigerated drawers provide convenient snack and beverage storage for the active family. The other end has room for six for meals, homework, or conversations with the cook. Cabinets on both sides create storage zones. As if all that wasn't enough, a second oven at the center fits inside the kitchen's work triangle. 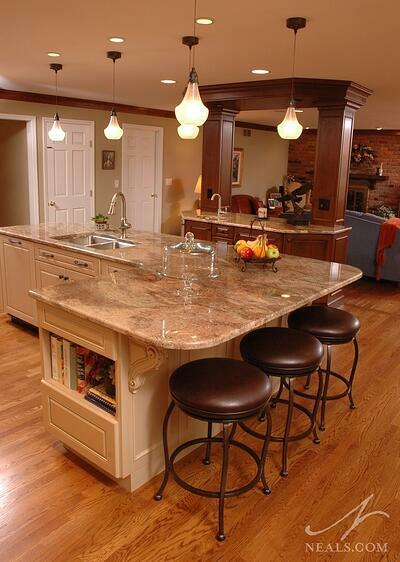 This L-shaped island is a major component to the function of this kitchen. One arm contains more cabinetry, the sink and the dishwasher. At the corner, space was carved out for a microwave. The remaining end is dedicated to seating, and is just as perfect for quiet evening meals together as it is when guests are over. A stout island, designed to look like a piece of furniture in keeping with the kitchen's eclectic cottage style, this island is primarily storage. Cabinets and drawers take up a good portion of both sides. A prep sink in the corner takes just a small portion away from the expanse of counter space. At the end, seating for 3 eliminates the need for a separate table. 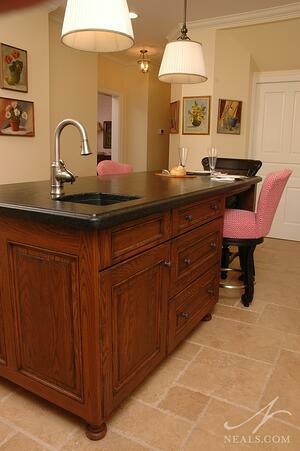 Another L-shaped island, this workhorse contains lots of cabinetry. The sink and dishwasher reside on the far end. A niche for cook books on the other end is a convenient detail for the chef. Seats here are ideally placed for gathering in the kitchen without getting in the way. 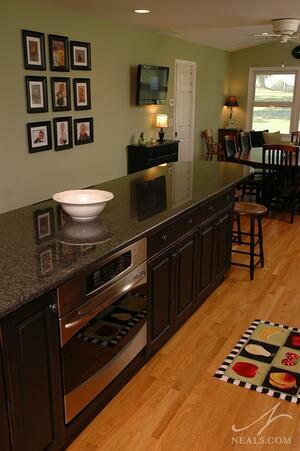 The ample counter is great for parties, crafting, homework, or just spreading out when making a meal. 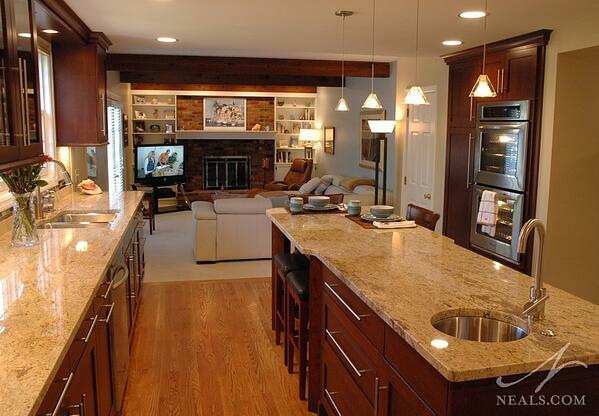 This island packs a fair amount of function. The counter curves outward along the back side for bar seating. The front is a bank of cabinetry, supplementing the room's storage, and providing space for tasks specific to the gas range, also housed here. 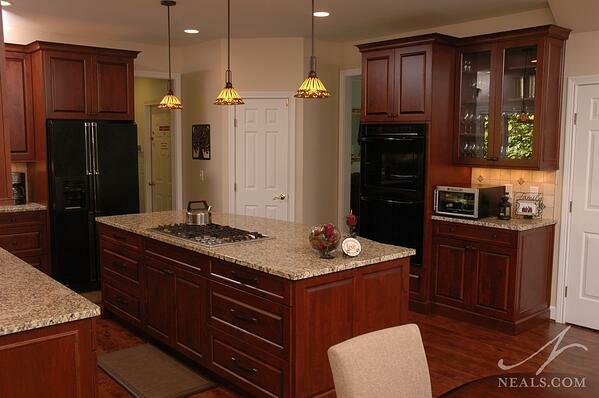 This island design is ideal for the cook to get meal-prep underway and not have to interrupt conversation to do so. 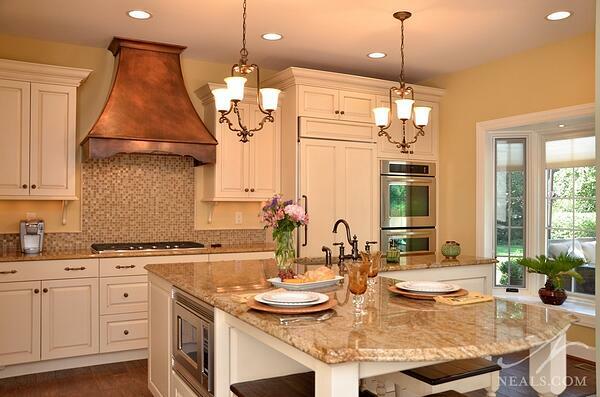 For more kitchen ideas follow us on Pinterest and Houzz.